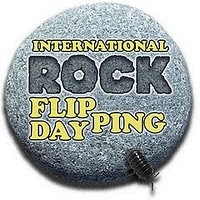 International Rock Flipping Day is coming up in a few weeks. September 11, 2011 to be exact. What is International Rock Flipping Day? It is a blog carnival to celebrate all those critters that live under rocks, as well as the naturalist spirit that drives you to look a little deeper. Then blog about what you found. out. I will have more information about more information about where to send your posts as the date approaches. I believe Wanderin' Weeta will be hosting. Edit: Yes, Wanderin' Weeta is hosting and you can get the full scoop now. Thanks for posting this! I hope we have a great turnout.